My wife did me a huge solid yesterday. 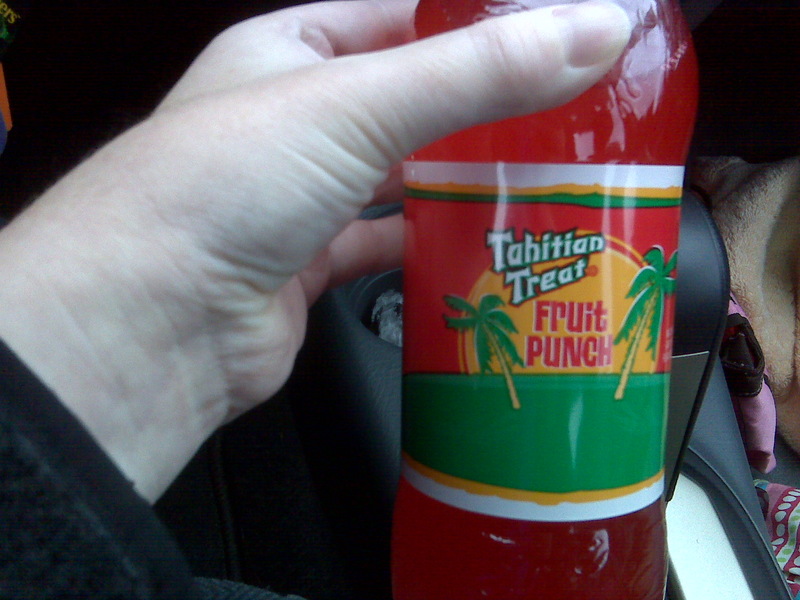 She spotted (& bought me) the ever elusive "Tahitian Treat" soda. I'm not sure if it's available in your area, but it's quite rare in these parts. I used to drink it often when I was a kid but at some point during my formative years it seemed to go out of circulation locally. K.C. found this magical elixir at the Philly Pretzel Factory and aware of my yearnings captured the wily beast. Furthermore, in realizing her coup, she excitedly snapped this cell phone pic and sent it to me at work. Yeah, I love this stuff, and it will likely be consumed alongside a cheesesteak (whiz wit) for lunch this afternoon. It's like a freakin' holiday to me; not a time to go half-a**ed. I don't drink as much soda as I used to. I'm trying to shed a few pounds, so when I do drink the stuff it's usually Diet Coke or Diet Dr. Pepper. However I will make the rare exception for some of my more eccentric soda tastes such as A-Treat Sarsaparilla, and if out west, Cactus Cooler. No, this has nothing to do with fishing. But it's Saturday, soda is fun (frankly, the world needs more fun), and I'm really looking forward to lunch this afternoon. Feel free to share you fizzy favorites in the comments below. I'm pretty sure that's not available around here. Heck, I had never heard of it until just now. It must be pretty good stuff! Dr. Brown's cream soda, ummmmm! It's readily available in Memphis. If you're every fishing in the midsouth area you'll be able to find some. We even have store brand knock offs. Mountain Dew Throwback and PA Dutch Birch Beer. YUM! Some things can transport you to simpler times. Has to be Cheerwine. Thanks for playing along guys. A few from your lists I've heard of, a few I haven't. Sounds like the makings of a shopping list to me.